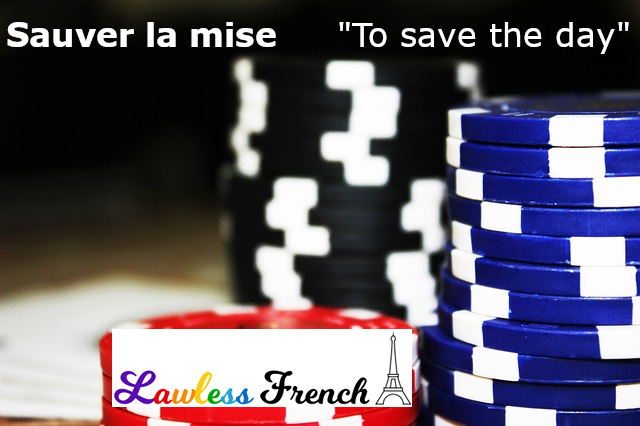 Usage notes: The French expression sauver la mise literally means to pull out one’s ante or stake, so that while it’s no longer possible for you to win big, neither are you at risk to lose your stake. The more common figurative meaning is to get someone out of a tight spot. 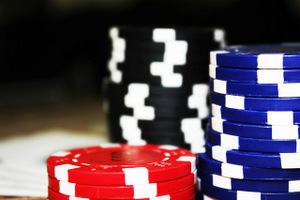 Unlike many expressions, this figurative meaning is very logical, if you consider the literal meaning and assume that you would have lost had you not pulled your money out. J’avais des ennuis, mais mon frère m’a sauvé la mise ! I was in trouble, but my brother saved the day! Tiens, Nicholas a sauvé la mise ! Hey, Nicholas has saved the day!